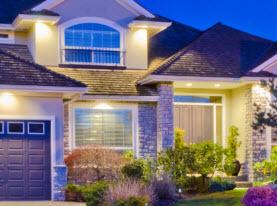 Throughout Santa Ana and Orange County, California, Peterkin Electric supplies commercial businesses and residential homes with a multitude of electrical services. 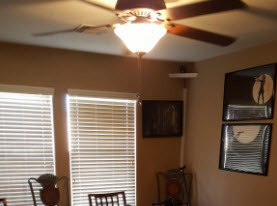 We are fully licensed and insured to provide professional electrical workmanship. Peterkin Electric electricians have advanced training, years of valuable experience, and extraordinary experience that are enhanced with the use of high-end products, tools, supplies, and equipment sold only to licensed professionals to ensure our valuable customers receive nothing less than premium results. With Peterkin Electric, we set ourselves above the competition by consistently delivering superior execution on services rendered while upholding high moral standards and work ethics and applying friendly customer service. 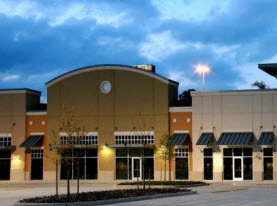 Peterkin Electric knows that emergency electrical problems can occur to commercial businesses and residential homes in San Ana and Orange County, California day or night, on weekends or on holidays. That is why we are available 24 hours a day, 7 days a week in the event an emergency strikes to inspect, troubleshoot and repair your electrical problems. 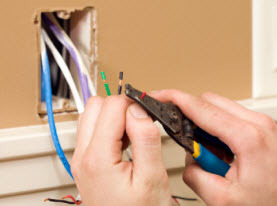 Loose or faulty wiring, an appliance’s wiring contracting electrical sparks, exposed conductors, recently damaged transformers, smoking or sparking light switches, outlets, or other electrical components throughout the home are just some of the examples of emergency electrical problems that can occur at residential locations. Commercial electrical emergencies may include troubleshooting electrical equipment, exposed conductors, sparks that can leading to fires or electrocution, and so on. No matter the emergency, Peterkin Electric has the expertise to get your electrical issues back on track. If your home or business in San Ana or Orange County, California is experiencing an electrical emergency, count on Peterkin Electrical, call us immediately to avoid serious injury or structure damage.